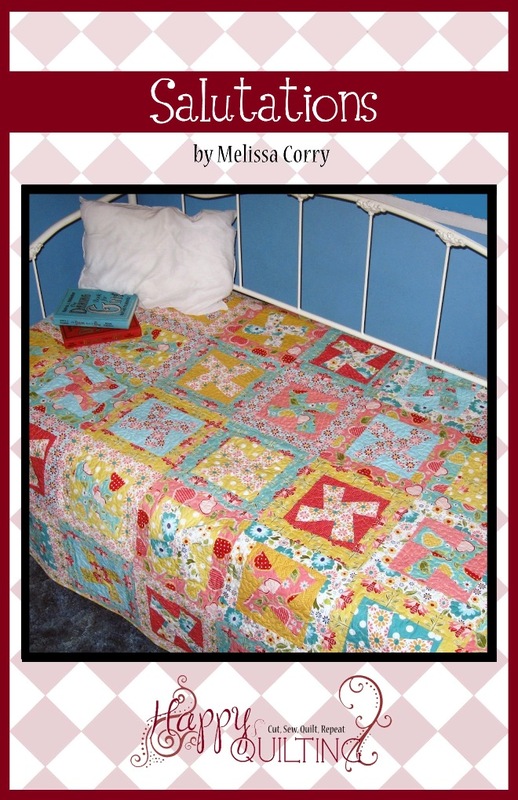 It's Day 6 of Celebrate Mom here at Happy Quilting!!! A fun filled week of daily guest posts and daily fabric giveaway's for you !!! Today, I am super excited to welcome my guest Jenny Pedigo of Sew Kind of Wonderful!! I had the great opportunity to meet Jenny at fall quilt market and she has become a wonderful friend. Jenny is the creator of the Quick Curve Ruler and along with it has created a vast line of fantastic Quick Curve Ruler Patterns. She is also a very talented long arm quilter!! Jenny never ceases to blow me away with her amazing quilt designs, you should she her Curve It Up QAL. Take it away Jenny!! First off, I wanted to thank Melissa for this fun event she's doing this week! I was a little surprised when she asked if I wanted to participate and then remembered I now have 6 kids and would probably make for a good candidate! My name is Jenny Pedigo with Sew Kind of Wonderful. I've been married for close to 18 years and 6 kids later. Our 6th child Ty, is only 2 1/2 months old and has been the most sweetest little surprise in our lives! About 6 years ago I bought a longarm quilting machine so I could start working from home. Then a couple of years ago my passion went from longarm quilting to now creating quilt patterns, which has brought on a whole new business of it's own. I have come to find out the reality of just how hard it can be to work at home and manage being a mom at the same time! I have a plaque on my wall that says "Welcome to the Zoo"!! Sometimes and many times it can feel that way! I really try to involve my kids with what I'm doing, whether it's getting a 2nd opinion on a quilt design, color fabric choice for a quilt, stuffing patterns, wrapping rulers, packaging orders, carrying heavy boxes to the car...and so on. 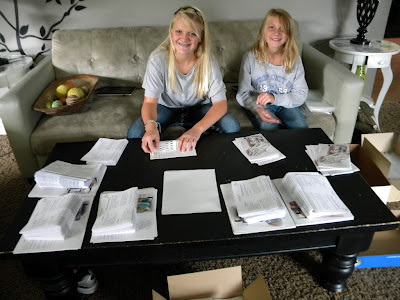 Here is Brittany and Brooke stuffing patterns for me. I can only get them to help me if I pay them of course! I would also love it if my daughters, one day, became obsessed with quilting like their mom! We have managed to make some quilts together, we made this one for their bed. It was a big accomplishment for them and we had lot's of fun spending time together to work on it! I've also let my kids play around on the longarm. Here's Brittany quilting a top that she actually designed her self. 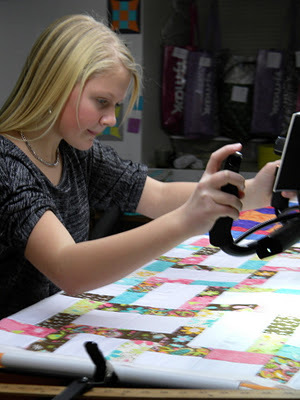 Starting soon, Brittany is going to start longarm quilting for customers to make a little money in High School. Wish I could have done that in High School! I will admit there are times when work at home took over my life. Looking back at the last 6 years, I wish I had slowed down and spent more time with my kids. My baby Ty has been a blessing in my life in so many ways. One being, I have learned to slow down and enjoy my family more. I've had more fun with my kids in the last couple months and have learned how important it is to balance work, quilting and just being a mom. Funny story. Yesterday Brittany and I were playing a humming game with her phone. She holds the phone over her head, I read the title of the song and try to hum it to her and she try's to guess what song I'm humming. Okay.....I'm not sure what I was thinking when I said I'd play along, but I'm the worst singer ever! Oh...and the phone takes a video of you also. I tried to hum a Lion King song and in my head I thought it sounded really good, but was startled when Brittany started laughing and my baby Ty, who was sitting on my lap, starting crying! We have watched that video over and over and over. It's so hilarious and I'm so glad I was able to enjoy that moment with my daughter! Thanks Melissa for this fun "Mom" week and for letting me share a bit about me and my family, it was fun! Fast dinners for us on a busy day consist of rice, cooked in a microwave rice cooker (20 minutes). Costco's frozen fish (salmon or tilapia) baked in the oven for 15-20 min. and a frozen vegetable (steam for 5-10 min). Fast, easy and healthy! Thank you so much to Jenny for being part of this Celebrate Mom event! And how about a final giveaway!!! Today's Celebrate Mom giveaway will be a copy of each of my patterns. Yup, all 7 to one lucky winner!!! I love my Mum for teaching me to sew! Mom always has stories about Scotland; her home. And a great care giver. I am sure you do a wonderful job too. It is only natural that you would spend so much time quilting at first; you're learning and it is overwhelming at times. They have a great role model...look at her at the machine!!! wonderful. Mum was the kindest most supportive parent I could ever have had. She showed me how to be a mother myself and I try to live up to her example every day. I lve my mom volunteers in my school library where I am teacher librarian one day a week! I love tht she is the one who got me into quilting and also that she is now one of my best friends. My dear mother, Ruth, passed away in 2008, but the life lessons she taught me remain in my heart...to follow Christ and find the good in all situations. She was the most positive person I have ever known and I try to be just like her! I love that I have her sewing and crafting DNA. I sew , make jewelry and garden just like her. Thank you for the chance. For teaching me all things homemade or handmade. Sewing, egg noodles from scratch, canning, etc... my husband thinks there are very few women left who do things like that from scratch and that our boys won't find one like that. He's wrong, but I'll keep that our little secret. My mother taught me that reading was an important part of life, and we should make time for it every day. My Mom taught me about how joyful sewing can be. We still get together to make projects. In fact we have decided to spend Mother's day Sunday-sewing. I love that my mom is always on my side rather I'm wrong or right. I have two daughters but they're still little so they're content with just using my scraps. Thanks for the giveaway. My Mom taught me how to survive a hard situation! I loved my mom for her sense of family, for teaching me to sew, for her love of education and for instilling a love of music in me and my six siblings. My mom has taught me so many things over the years, but best of all she taught me to sew!! My mum is amazing she is more than I could ever aspire to grow up to be but she encourages me to be the best I can be and always believe in myself and trust that I have within me the seeds of amazing things too. She is kind and caring and generous and thoughtful and she is a friend and a comfort to many. She volunteers and works tirelessly in her community to make a difference in the lives of others and then she reaches out to make a difference in the lives of people all over the world. 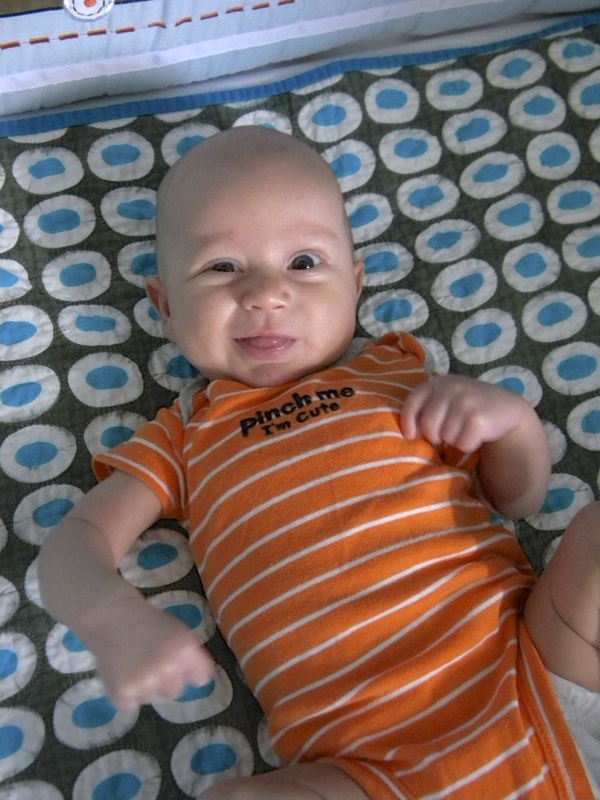 Awww - what cutie on the Malka quilt!!! I say goodnight to my mom every single night as I close my eyes to sleep. Mom passed away when she was 50 years old and this June 23rd will be her 13th anniversary. I spend the day doing something that she would have loved to do with me so I can feel like she is still here and we are enjoying something together. I miss her as much today as that day almost 13 year ago. It's hard to pick just one thing about my Mom. She's so amazing to me. I love best of all that I can talk to her about just about anything. Great Guests; easy dinner recipes and lots of fantastic giveways. This has been a very fun week. Your last giveway is quite unbelievable and so darn generous of you. That should keep a quilter busy for a while. Thank you for all hard work this week. You have done an amazing job for all of us - again. Thanks for the chance to win your patterns. I love that my mom is always there for all 4 of us kids. Even now that we are grown and moved away with families of our own. She prays for us constantly, and knowing that helps with the times that we are apart. Being a momma's girl and living 200 miles away is tough. She's always just a phone call away, and helps keep me grounded. I enjoyed reading your story. What beautiful kids you have! My mom like to work with flowers and I shared that love with her. She also liked birds and again I have the same love! My Mom is so generous. She would rather buy something for someone else and give it away than buy herself something. My Mom is no longer here but I loved hearing her tell stories about her life as a young mother of eight and how she tried to fit everything into her full day. I always enjoy stopping in to see what is new in your world...always fun. What beautiful patterns you have for the giveaway!! My Mom was a hard working ranch wife. She set forth an excellent example for we four girls. We were my moms girls and my Dad's boys! My mom is my inspiration. At 78 she is teaching Yoga and dancing two nights a week! I strive to be more like her. Thank you for the wonderful giveaway Melissa. I always tell my kids to slow down and ENJOY their children. The time goes too quickly. I love my mom for her incredibly positive attitude. She became a paraplegic 17 years ago and continues to keep busy, live alone and never complains - even at the age of 90. My mom was down to earth, funny and supportive. I miss her. My mom is special in so many ways, but the first that came to mind is her willingness to help any of her friends who had a need. I love that my mum taught me many things but mostly how to bake and how to sew. I love my mom because she is so supportive and I can count on her to be there during difficult and important times. I am really enjoying the celebrate mom series, thank you. My mom always liked to make a special day out of simple days. She loved to celebrate everything and go the extra mile to make things special. I miss her. On the day my son was born my mom made me feel like I had just given her the biggest, best gift in the world! Her first grandchild, and she LOVED being a grandma. Sadly, she died when my son was just 2, but for those 2 years she was totally in love with him. Now I am thankful to have a MIL who has been like a second mom to me. Similarly, African Music is considered to be different in different parts of the place. My mom had a way of making each of her 6 kids feel like they were her favorite. Everything my mom did - the good and the bad- shaped me into who I am, and I am so thankful for that. My Mom was always there when I needed her, no matter what she was doing. She has been gone 3 years now and I miss her a lot. Thanks for the chance to win Jenny's beautiful patterns. What a sweet week. Memories of Mom are ever present in my heart. I have laminated many of her hand written recipe cards. That is something that my own kids love to read and use - Mom had lovely hand writing. My Mom taught me how to stand on my own two feet and to face the world head on! She was such a lady and insisted that I be a lady at all times too! My Mom is gone now, but her memory lives on and I really miss being able to pick up the phone and call Mom. My Mom could sew anything! Barbie clothes, kids clothes, bridesmaid dresses and she also recovered furniture with an industrial machine. I feel sad that I didn't appreciate her talents when I was growing up. I would give anything to quilt with her now! My mom always told me to work hard but when you have kids the house work will be there tomorrow. Only problem with that is you have twice as much. I have really enjoyed your thoughts this week. I love how mom just knows when it is time to listen. Even when we're live so far away. My Mom had a big heart. She did so much for friends. She was an amazing seamstress and when her best freinds daughter arrived with a wedding dress that didn't fit and the wedding was the next day it was my Mom to the rescue! She was taken way to early and I miss her dearly! I love my mom's unconditional love. My mom was a sweetheart - she never said anything bad about anyone, was very generous, and was our biggest fan! My Mom was a master pianoist who gave it up when married/kids to be come a master seamstress to help pay bills and once the kids were grown became a master quilter - she evolved her life and masters! Thanks for the chance! I love how great my mom is with kids. She was wonderful with myself and my siblings growing up and she's just as wonderful now with her grandkids. Just amazing! I loved the sound of my mother's voice; whether she was singing, or laughing, or just talking, she had the loveliest, warmest, sweetest voice. No matter what she was saying to me or my dad and siblings, the tone of her voice said, "I love you." My mom learned how to sew early on as a young wife.Sewing her own clothes and us kids to save money for the bills.I learned how to use a machine as a young wife also. Mom taught me everything I know, including learning how to quilt.She was a wonderful teacher and mother. She has been gone from me for 9 years now. But her spirit is still with me as I quilt alone. I loved my mom for always supporting my dreams. My mother and I have always had one of those rare, special relationships. We have always been more like best friends, then mother and daughter. Sure, we've had our tense moments (who doesn't with a teenager? ), but this bond that we have always trumped whatever tension there may have been. She lives in Idaho and we live in Wisconsin, so we don't see each other very often. However, she is coming here this Tuesday, May 14, and is staying until mid September!!! My children and I are SOOOO excited (however, my husband has politely declined to share in our enthusiasm. *wink* )! She will be here for the birth of our 8th child, her 13 grandchild, and that is an experience that I'm really looking forward to sharing with her. She taught me to sew when I was 9 and now it's *my* turn to teach her to quilt. Fun times!!! My mom has long since passed away, but she was the number one source for the best advice ever on anything and everything. I love my Mom for always putting her children first - a wonderful example!! Quilting with the women of the family is a special treat! 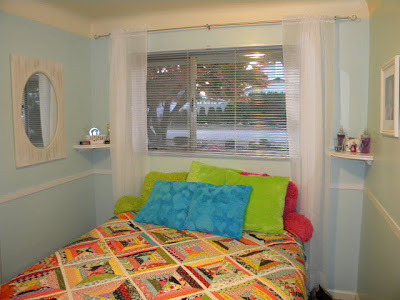 My mom, sister and I all love to quilt and have been lucky enough to pool our resources and buy a longarm about 8 years ago. My oldest daughter has also started joining us..when her busy life allows. My youngest son is marrying a beautiful woman in September...who also loves to quilt! It's a wonderful way to form lasting bonds! Wow, Your daughter is super talented already! That's amazing that she's going to start quilting orders! I love that my Mom shared her love of sewing, and then quilting, with me. She is so talented. It's so hard to pick just one thing. I would say it's her giving spirit, especially her time. I love that my mom always takes care of me, even now that I am grown and trying to take care of her! I can always rely on her and she's the best nurse ever ;) I think it'll never change that I'm her little girl, especially when sick, no matter how old I get. My mom always has time to talk to me :) Love that. She makes me feel like she's on my schedule. I love my mum because she's there when I need her! My mom died in 2001 at 93. I was always amazed that my mom would speak to anyone on the street. She would strike up a conversation with the most improbable people. Great giveaway, Melissa. My mom is still my mentor (and I'm 55). I can discuss anything with her and she will always be supportive; not always agree with my decisions, but will always be there for me. Thanks for sharing these posts and for an opportunity on a great draw. I love Jenny's patterns. My mom will do anything for me: sew a Halloween costume, teach me to cook, fold laundry, wake up in the middle of the night with my newborn, etc. You get the idea! Thanks mom. My mom taught me to appreciate books! My mom instilled in me the notion that there was no greater joy than that of motherhood - she loved her kids and her grandkids with all her heart. I can only hope that I am half the mother to my own kids that she was to me. My mom was never afraid to try something new, and taught me to do the same. One thing I love about my mom?!!! Only one?!! That's impossible. However I will give it a whirl- she's here with her twisted sense of humor!!! Almost 10yeard ago they have her 20% chance if survival for 4 simultaneous cancers. Her response then - hmmm well God doesn't want me and the devil ain't ready so no sweat! See?!!! She's amazing! My mom lived to be 99, she was always so young at heart, and we shared a love for all things crafting..she taught me how important it is to have a hobby, and keep your hands busy, especially as you get older..I miss her every day..
My mom sends me fabric, OVERSEAS, and just because, gotta love that! My mom always found the good in everyone plus she gave me my love of sewing. I miss her and think of her so much! My Mom is gone since I was 14 and I miss her more and more every day. My Mom taught me to sew and not once did she ever get upset with me and my endless questions. I love that about her plus when I was in the first grade she made all my school clothes. She was very resourceful even after my Father died when I was 7 and their were 3 older siblings , she never gave up when things were hard. /all moms are wonderful in their way but this one was mine. My mom loved to read, and always encouraged that in me and my brother. Now, as adults, we are enthusiastic readers and are grateful for that gift from our mother. So many times I finish a book and think, "I'll have to share this with Mom"--forgetting that she has passed. It's a sweet legacy, I think. I love the fact that my mom is always there for me. Whether I need a listening ear, advice, or help with my kids she's always available. My mom is just a very nice person ! My mum passed away a few years ago, but she always put her children first, and always said enjoy them while they are young i miss her very much. My mom taught me how to sew and I am glad she did. My mom always had a special way about her that made other people want to be around her, she offered unconditional love! I miss her very much! Happy Mother's Day! I loved my Mother's voice and talent for signing. She still sings in my ear at Church some days. Miss her more this week-end than I think I ever have since she passed away. You've brought back many memories with this Week of busy MOMs. Thanks for a chance to win a bunch of patterns. That would be a very Lucky WIN! what a wonderful post. Thanks for sharing that. There where so many wonderful things about my mom. If I can be half of her I feel blessed. One thing I will always love and try to emulate is that mom was a people person. She cared about people and took time with them. She really wanted others to be their best and she was there to help. My mom has the best sense of humor. Everyone laughs when she is around. And she is a fantastic cook. My joy of cooking comes from her. And she is just learning to quilt. She has made 2 quilts so far. I love time we have spent together sewing. Good good, memories. No matter what, my mom is always there when I need her.... no matter what. Love that we both enjoy quilting and can go to quilt shops together. Thanks. My mom is a wonderful grandmother. Our little girl is 13 months old and I love having her here to build that great relationship with my daughter and now our son due in July! My mother is my best friend and, has been for many years. When my son was 3 my parents moved 30 miles to a house around the corner from us, to be closer. She'll always drop everything to help my family or my sisters. She spent more than a year driving me to doctors and being my chemo buddy, when I had cancer, in addition to helping to take care of my son. If I live til a hundred I could never express my gratitude, for all she's done. I hope someday my son feels this way about me, then I'll know I was as wonderful a mother as I had. I hope everyone has a great Mother's Day! My mom is my best friend. She is always positive...and if that doesn't work, she will tell me about someone who has it far worse than me!!! She loves to laugh, to learn history, to do things together. She is an all around fun person! My mom never ever gave up. She would do it over, try it again, ask for help but she never gave up. She was the strongest bravest mother ever. My Mom passed away at 43 from colon cancer but the thing I loved most about her was her ability to jump right into teaching herself what ever she wanted to do from putting on a roof to crocheting me a bikini that was about 4 times too big on her 1st attempt. But she could & would learn anything she wanted too. My mom is gone, she never had life easy but I never heard her complain. She was fun to be around and I miss having those moments with her..
my mom was a great crafter, self taught, with great talent for many different crafts. she would go on the local tv program and demonstrate things to make and do. sigh ... she passed on forty years ago; just one of the many things i treasure about my mom. My mom is an awesome quilter, baker, and always has a positive attitude, even when faced with uterine cancer a couple years back. Love Jenny Pedigo! I've been doing her QCR QAL and Mom decided to get her ruler too and had a quilt top together within a week with it! My mother & I had a special relationship as I was the only girl with 5 brothers. She taught me to cook & sew from an early age. The sewing I loved, the cooking took longer for me to love. A favorite, silly, memory was sometimes having her wonderful home-made chocolate pudding for dinner when she made Mexican food for my dad. As children, none of us would eat Mexican, tho' we all love it now. Another good memory was looking at quilts from my grandmother,& my mother would point out which pieces came from scraps from her dresses. My Mom was always there for me, no matter what. I miss her everyday. My Mom was always supportive with my crafts, miss her lots. Have a wonderful Mom's Day and enjoy your families. Love that Mama taught me to sew! Love your patterns - thanks so much for doing these giveaways all week. Fingers crossed. My mom taught me everything I know about being a Mom. I became a Mom at the age of 37. Big Change! All the times I rolled my eyes at her...I know hear myself saying the same things to my daughter that she said to me. I love that my Mom was the best bargain hunter ever for clothes. She could find deals on the sale shelves like no one else. I am in love with Dreaming of Paris. I have almost all the greys I need for a queen size. I love that she is always there for me. I hope my kids will feel the same about me. I can't pick just one reason why I love my mom. I think the reason I love my mom the most is that she loves me for just who I am and doesn't try to change me. She has been the biggest support for me over the last few years which were rough with my 3 young kids. My mom is the reason I am sewing! As a kid she tortured me by making me spend hours in fabric stores. I used to hide in the roundways, convinced I would die of boredom... Now I am passing on the flame, and the torture! lol I drag my daughter with me to pet and gape at all the pretty fabric. My mama has the sweetest, most loving heart of anyone I know. Thanks for the chance to win. I love my mom for her ability to love unconditionally, to always bring smiles to others, to make them feel welcome even if she wasn't feeling well, to teach me to try new things, to love to travel and to never give up reaching for a goal. Just wish she was still here. But I know I was lucky to have her for a mom and best friend. The one thing that comes to mind about my Mom was she was always there to encourage and teach but she never told me I couldn't do something and she always let me try new things. I love that my mom is always there for me and she will just listen if I have a bad day. It is hard to choose what I love most about my Mum, but it is simple really, I love the way Mum just 'loves me' and 'how she loves my boys!' It is just pure, old fashioned love! I've always loved and marveled at the way my Mom always put her own wants and needs aside for us, and never seemed to regret it once. She's really amazing! Only one thing? Well, I love that she is supportive and listens to me talk out problems. I really appreciate that as an adult. One thing I love about my mom is how she LOVES to cook for us. And, she still drops whatever she's doing to come over to my house or any of my sisters' houses if we need any kind of help with anything. That's a huge blessing. My mom is no longer with us. I love her so much for the sacrifices she made when we were growing up. She worked so hard and died way to young. I miss her so much. My mom lost her battle with cancer when I was 28. She taught me how to sew in 4H, but I didn't do any other sewing until after she died. Wish I could let her know how much I appreciate her teaching me something that means so much to me now. I love my mom for teaching me that I can be anything I want with hard work and an education. I love how my mom has taught me to love nature. One of the things that we share is when things get tough find a patch of sun shine, put your face into the rays and breeze, close your eyes and just breathe!! Receive energy from Heavenly Father and the world! My mother has no interest in sewing herself whatsoever but she always takes an interest in what I am making. Only 1 thing...that's hard! I love her for giving me Life. I love that my mom was able to spend the last year and a half of her life living with me. I wanted to be able to have her be the focus, instead of my dad. I'm glad that this worked out, but am sad she died so soon. My mom passed away 16 years ago. One thing I always loved about her was the way she supported her 5 children in everything they did. She never missed a band concert, cross country meet, award ceremony or baseball game. We always knew she was proud of us. I miss her a lot. I'm so glad my mom and both my grandmas taught me to sew and cross-stitch! I found out in college, when I took my first quilting class, that my mom's mother collected quilts and had made quilt tops. I'm thrilled that my mother in law also loves to sew. my mother in law has accepted me and supported me unconditionally since the day I met her son. she's a tough, tenacious, loving little Irish-American woman and I love her. Thanks for the chance. My comment isn't displaying. My mother hooked me on quilting and it is our shared, loved, hobby. Thanks Mom! My mom loved my dad above all else. Looking back that was always something you just knew when you saw them together. I love talking to my mom at bedtime every night! Other than the fact that my Mum taught me how to sew, I love that she is still here. Although in numbers, she is aging, but her independent, active life keep her young. We enjoy every day that Mum is here! She is so loving and patient. My mom is very involved in my life and my family's life. My kids love her and can't wait to spend time with her. She is very supportive of everything we love to do! My mom passed away over 20 years a go. My mom was very creative, she could quilt, she did scrapbooking before it became a fad, she wrote poetry, she crocheted, etc. Hi!!! Beautiful baby and kids!!! My mom is always the first to laugh at herself!!! I think that is a wonderful quality to have!!!! Not to mention everything else!!! Thanks for the fun!!!! One thing I love about my mom is that she taught us that you are never better than anyone else and that you are never too good for anything so respect your fellow man. That she taught me to be independent. I loved how kind and sweet and patient she was. She was truly an angel: she died when I was 34, 20 years ago on April 3rd, and I still miss her immensely! While growing up, my mom was the one person I could count on. She meant the world to me and made life worthwhile. My mom was everything to me and I miss her so much. My mom got me started with sewing; she rescued a sewing machine off the curb and gave it to me last year. It's one of the best gifts ever and with it I've learned to sew and we've joined a quilt guild and we basically never stop talking about fabric/sewing/quilting ever. My mom always tries her best at everything she does. She is an excellent role model. I am so lucky. I love that my mom gave me her red hair! I just love my mom. But I guess I would have to say that she has been my best friend most of my life, and I can't imagine my life without her. Happy Mother's day to you and all wonderful quilters that are moms first and foremost squeezing in our quilting when we can. Enjoy your children and the honor of being called "Mom"
I love my mother for teaching me to sew, and for helping me buy my first sewing machine. I used it for 40 years (yikes!) before I got a Bernina 3 years ago. Mother passed away 4 years ago and I miss her every day. But I feel like she's with me when I'm sewing. I loved that my mother (who is now deceased) didn't complain no matter how bad her health got. She was trying to help others right up to the end! Thanks, Mom! My mother is 80 and so independent. I like that very much about her. How about my Grandmother. She could do it all. Cook, clean, sew, quilt, live on a farm, raise 8 kids in the depression you name it. My hero! I love how at 95 my mom almost always says how it's a nice day - and most of the time since 2006 she wants to go to an exercise class! I love my mum who taught me to sew and all other creative stuff. Wish everyone Happy Mother's Day!! I love my mum because she's always there for me. She taught me to lead a selfsufficient and independent life and that I'm only able to take care of others if I'm well, so I have to take care of myself, too. I couldn't get more of her. My Mom gave me the love of crafting and books or reading to be exact. She was very creative and loved to make just about anything. I can count on my mom to be "unfiltered" honest. If I really gotta know, I ask her! Happy Mothers Day! I love my mother so much and am glad she taught me to garden and can things for the winter. My mother supported me in everything that I tried. She was there for the good and the bad. She was a quiet strong woman, and I miss her so much. My mother has passed away but what I now admire is her encouraging me to get an education. I love my mom for listening whenever I need her to. I love my mom for inspiring me to be strong, independent and loving. She possessed all those qualities and more. My mom taught me to sew and instilled a love for gardening. Her spring gardens were the best! RIP Mom. Happy Mother's Day to you, I love you! I'm thankful that my mom is always there to listen. She also got me into quilting! My mom always encouraged us to read and my love of reading comes from her. My mom is a fabulous cook and the most generous person I know. Whenever someone needs something she is there. I feel very fortunate that I have such a terrific mother. I lost Mom about a year ago and I miss her terribly. We used to have fun on our girl days out together! My mom was always reading when I was a kid, and I have been reading ever since. My mother was the most selfless and giving person I have ever known. Her love was faithful and unconditional. Oh how I miss her. My Mom has always been my biggest supporter in my life, and I only hope that I can be the same for my girls - Love you Mom! She's almost 85, and she's still a go-getter! My Mom raised 3 Kids by herself and I think she did a pretty good job. She made my clothes and that of my sister's and gave me the love of sewing.Thanks Mom and I wish you were still here. My mom passed twenty-some years ago, but I love that she was willing to work as a corporate administrative assistant and provide for us in so many wonderful ways. My mom and dad were great partners and wonderful examples of how to make things work.